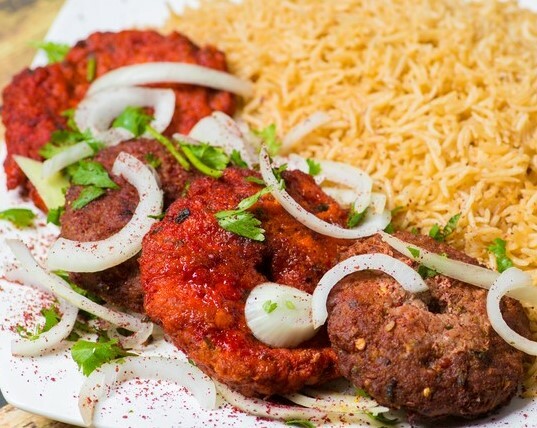 Finely seasoned minced fried patties (beef) or (chicken) served with Choice of Rice and Garden Salad or Naan with Garden Salad. 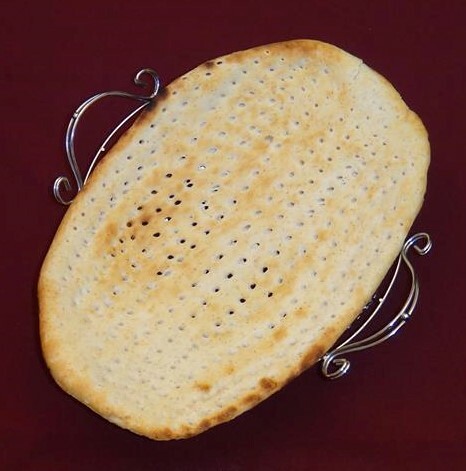 Freshly tandoori baked traditional Afghan bread. 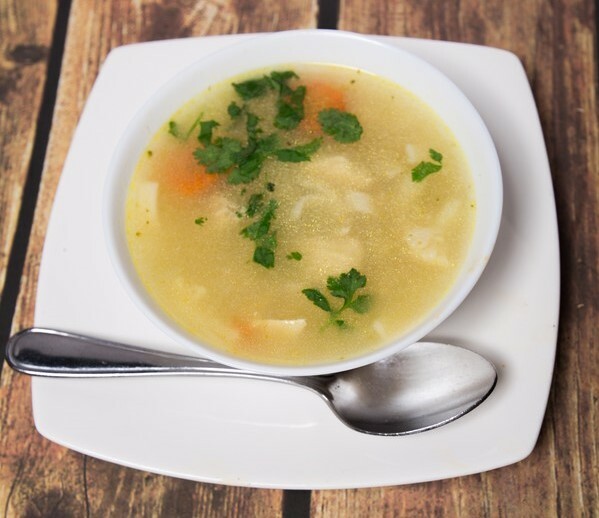 Vegetarian and non-Vegetarian specialty soups. 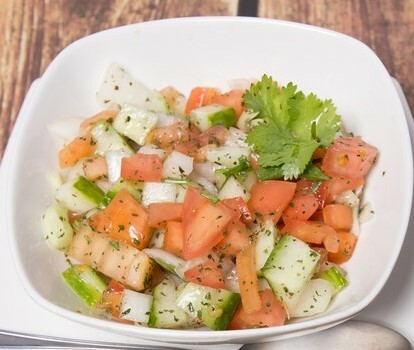 Chunks of chicken, diced onions and cilantro. 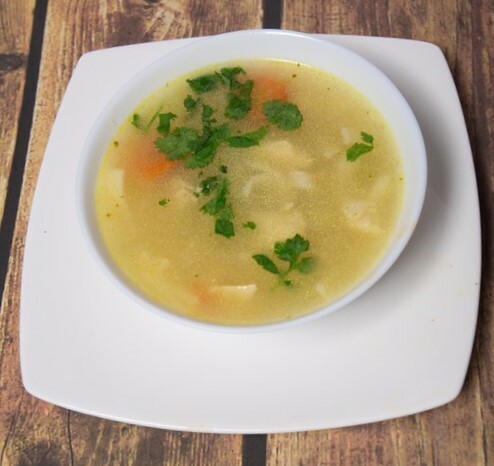 Chunks of chicken, mixed vegetables and noodles. 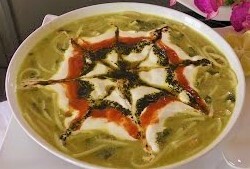 Traditional Afghan Soup, mixed vegetables, noodles, minced chicken and yogurt. 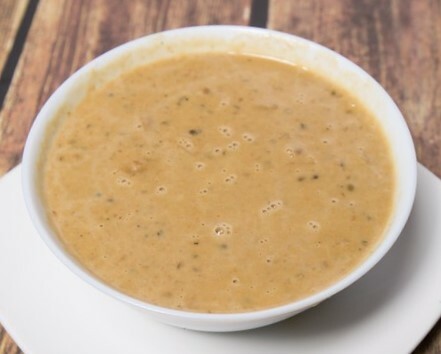 Combination of lentils cooked with herbs and spice. 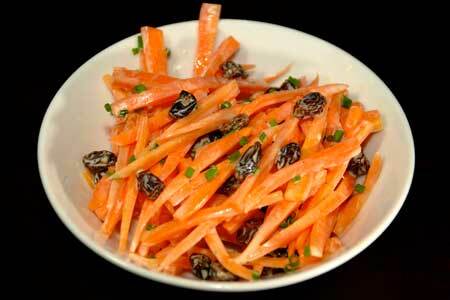 Lettuce, cucumbers, carrots and cabbage with homemade dressing. 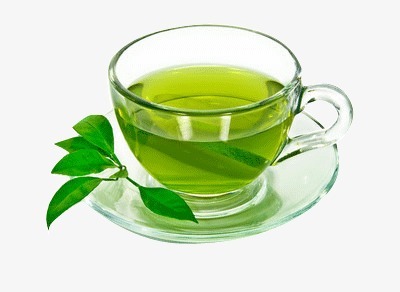 Traditional homemade yogurt with cucumbers and dried mint. 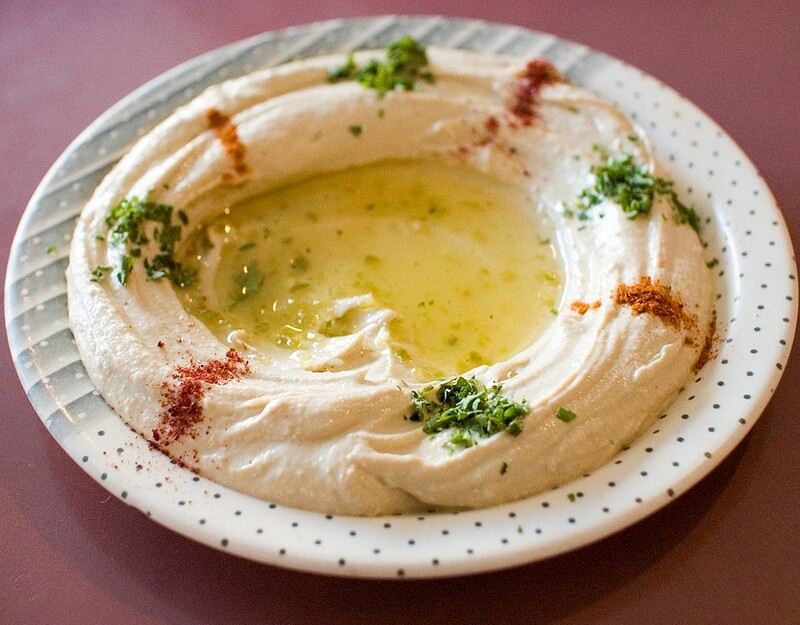 Puréed chickpeas, tahini, lemon and garlic served with naan. 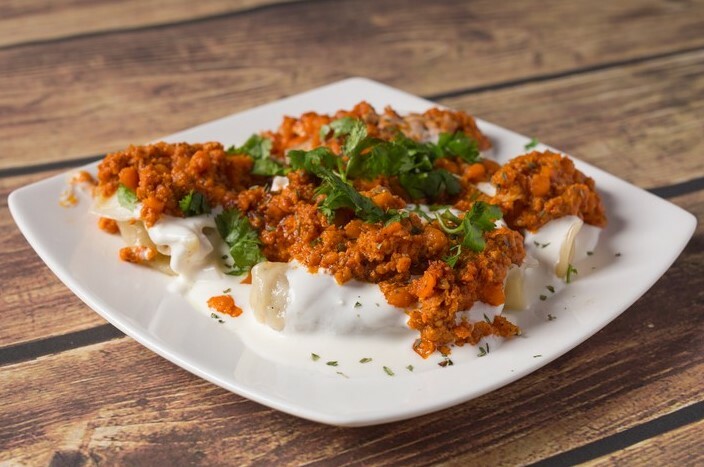 Boiled dumpling stuffed with seasoned leeks, topped with yogurt, minced chicken and yellow lentils. 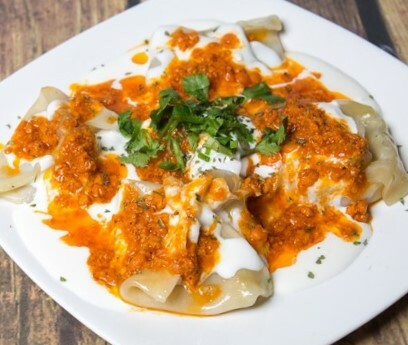 Steamed dumpling stuffed with seasoned (chicken) or (beef) topped with yogurt, minced chicken and yellow lentils. 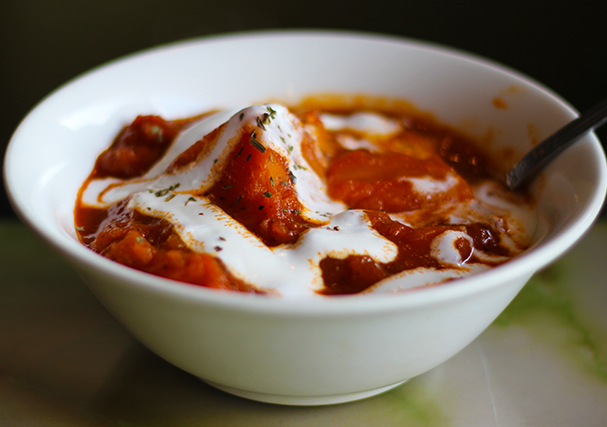 Seasoned fried eggplant served with homemade yogurt and naan. 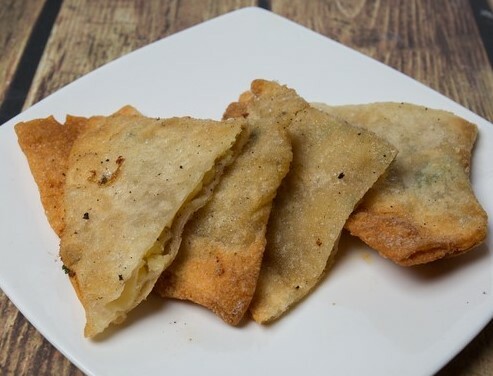 5 pieces of fried mini turnovers stuffed with (vegetables) or ground (beef) or (chicken). 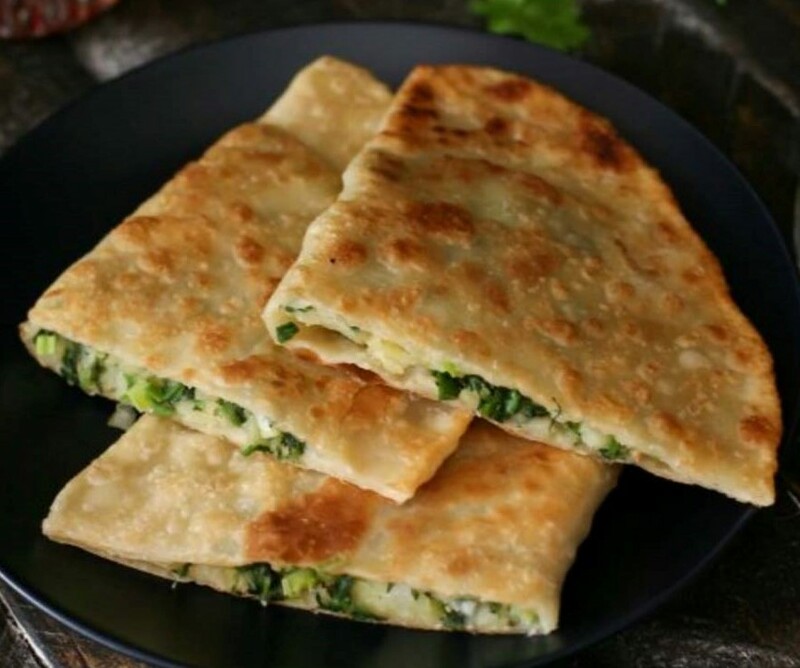 1 Piece of fried turnover filled with seasoned (mashed potato) or (pumpkin). 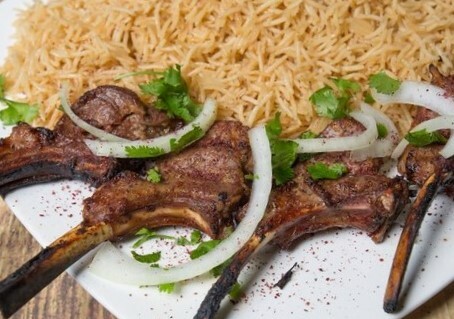 Lamb Chops specially marinated tender racks of lamb (upper part) served with choice of rice with garden salad or naan with garden salad. 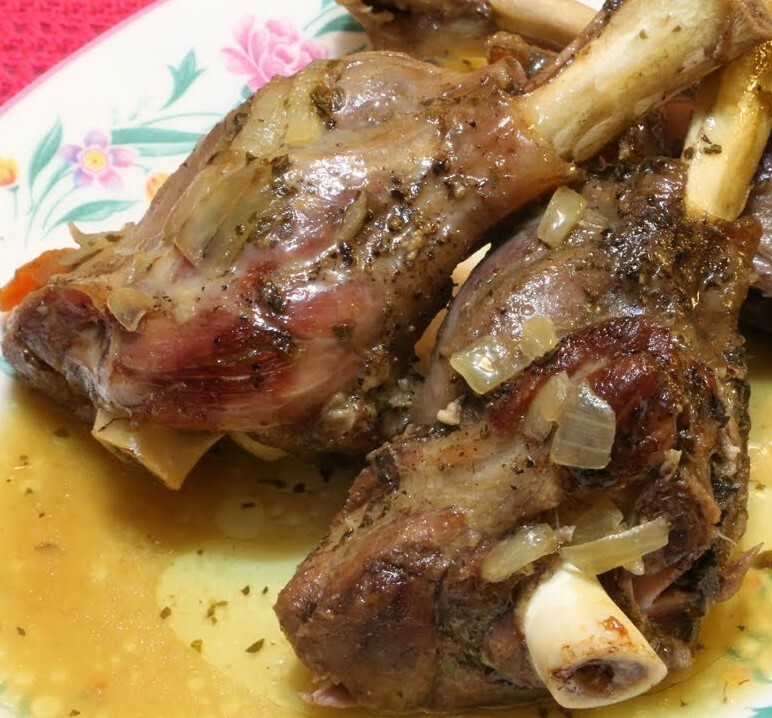 Tender chunks of boneless lamb marinated in fresh herbs and spice served with Choice of Rice and Garden Salad or Naan with Garden Salad. 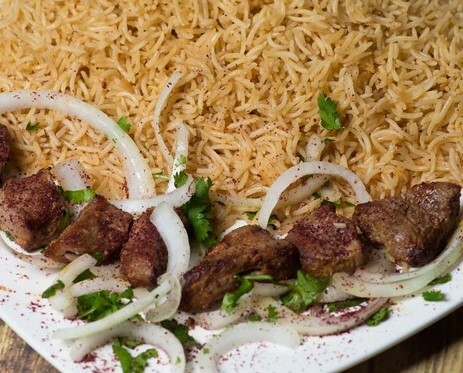 Marinated chunks of boneless lamb served with grilled onion and tomatoes served with Choice of Rice and Garden Salad or Naan with Garden Salad. 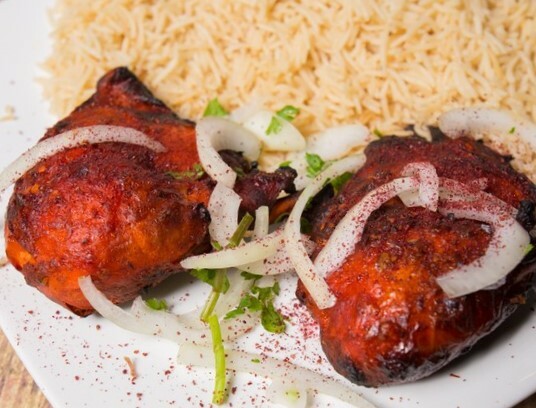 Chunks of marinated boneless chicken breast served with Choice of Rice and Garden Salad or Naan with Garden Salad. 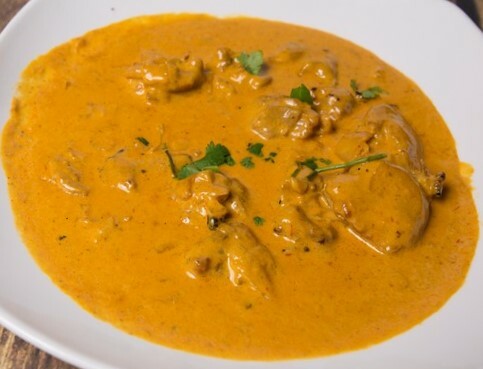 Chunks of boneless chicken thigh specially seasoned served with Choice of Rice and Garden Salad or Naan with Garden Salad. 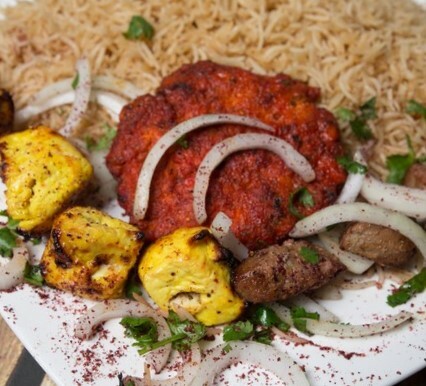 Ground chicken seasoned with special spices served with Choice of Rice and Garden Salad or Naan with Garden Salad. 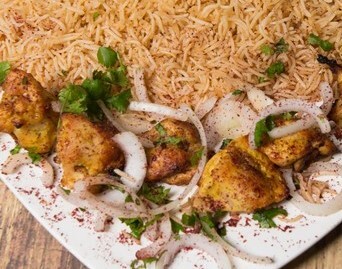 Specially marinated chunks of chicken with bones served with Choice of Rice and Garden Salad or Naan with Garden Salad. 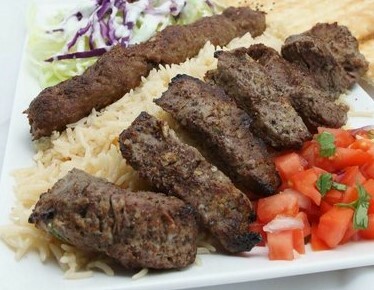 Ground beef marinated in special herbs and spices served with Choice of Rice and Garden Salad or Naan with Garden Salad. 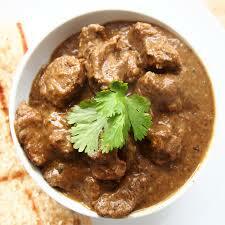 Specially marinated tender chunks of beef served with Choice of Rice and Garden Salad or Naan with Garden Salad. 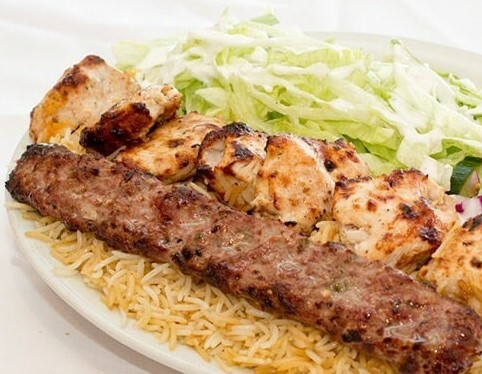 Two skewers Chicken Breasts, four skewers Beef Kofta Kabobs with Rice and Garden Salad (Substitutions of Lamb, Fish or Beef Tikka $5.00, Lamb Chop $8.00). 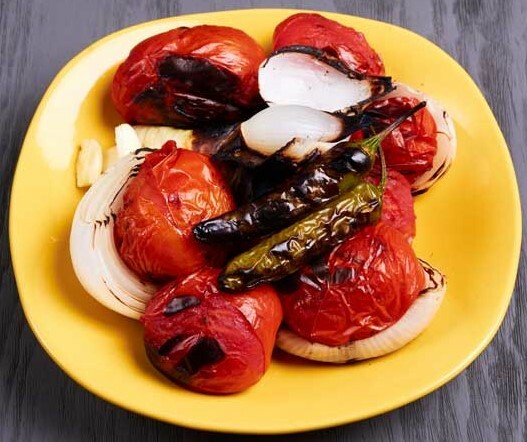 Please remember to specify which item you want substituted when selecting an item from the options in the "special instructions" section. 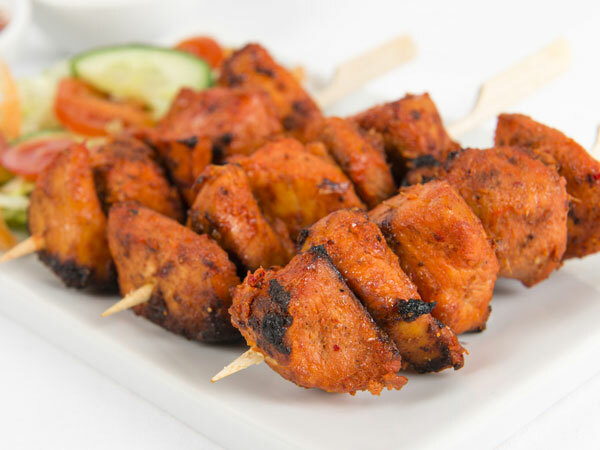 Two skewers Chicken Breasts, four skewers Beef Kofta Kabobs, two skewers Chickan Tikka Kabobs with Rice and Salad (Substitutions of Lamb, Fish or Beef Tikka $5.00, Lamb Chop $8.00). 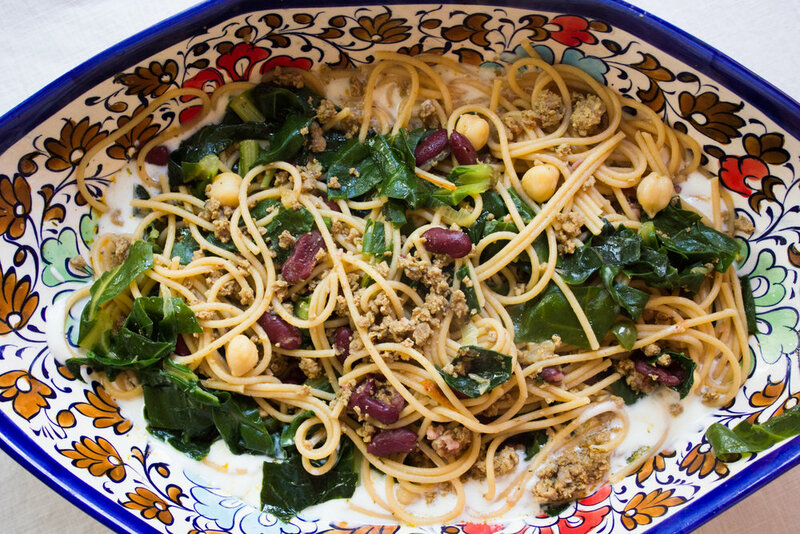 Please remember to specify which item you want substituted when selecting an item from the options in the "special instructions" section. 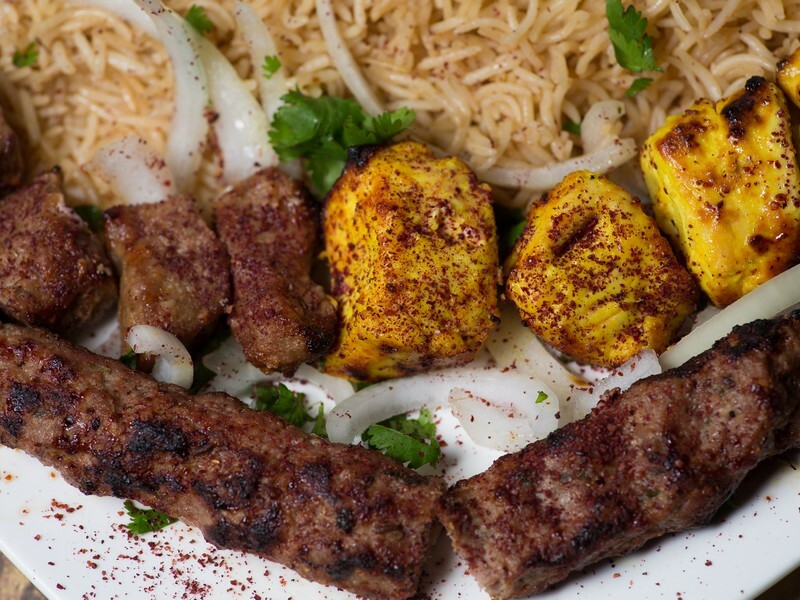 Two skewers Chicken Breasts, four skewers Beef Kofta Kabobs, four skewers Chicken Kofta Kabobs, two Chapli Kabobs with Rice and Salad (Substitutions of Lamb, Fish or Beef Tikka $5.00, Lamb Chop $8.00). 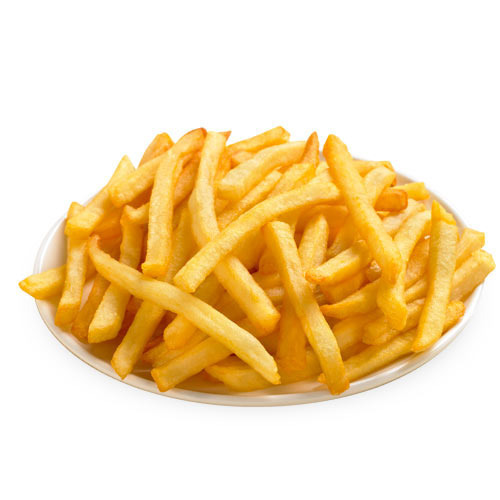 Please remember to specify which item you want substituted when selecting an item from the options in the "special instructions" section. 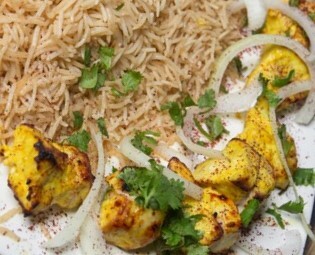 Tender chunks of chicken breast and chicken kofta served with Choice of Rice and Garden Salad or Naan with Garden Salad. 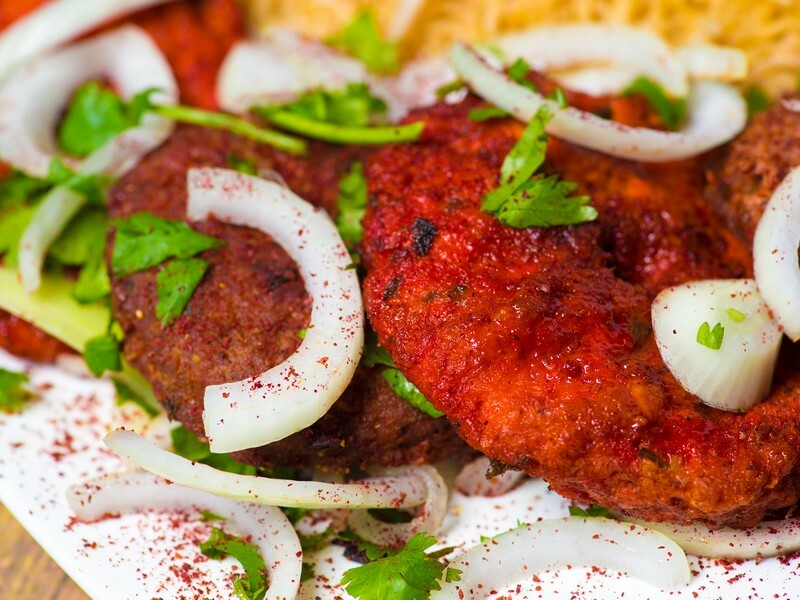 Tender chunks of beef and choice of beef kofta or chicken kofta served with Choice of Rice and Garden Salad or Naan with Garden Salad. 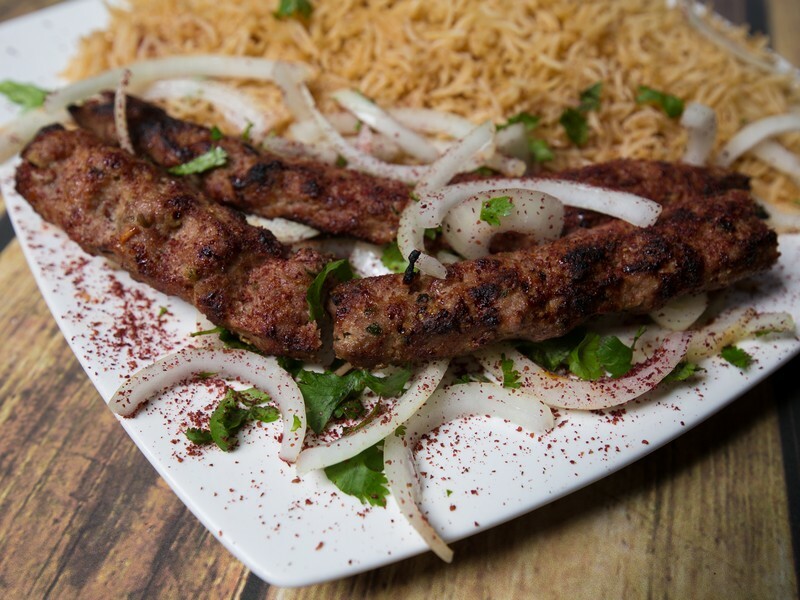 Tender chunks of lamb and choice of beef kofta or chicken kofta served with choice of Rice and Garden Salad or Naan with Garden Salad. 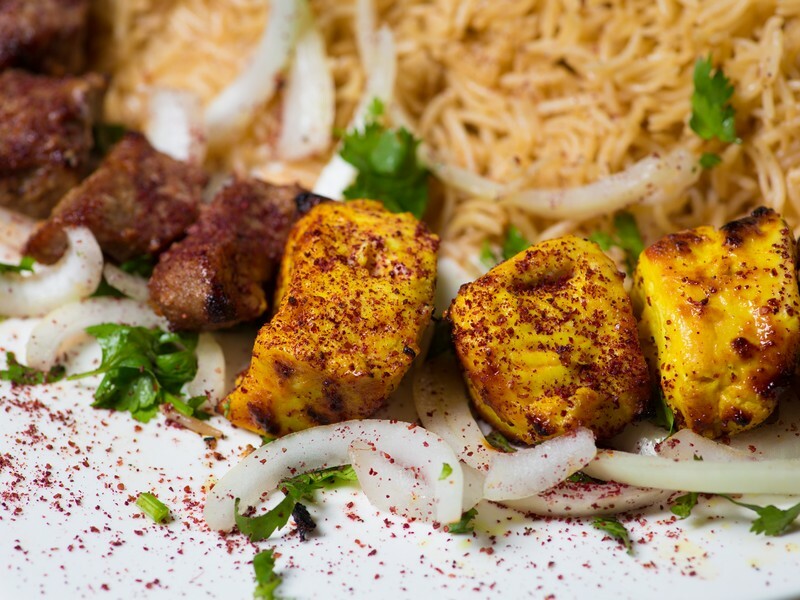 Combination of lamb tikka, chicken breast and chapli served with Choice of Rice and Garden Salad or Naan with Garden Salad. 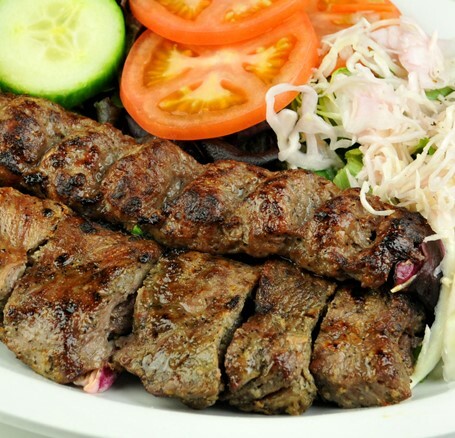 Combination of beef and chicken served with choice of Rice and Garden Salad or Naan with Garden Salad. 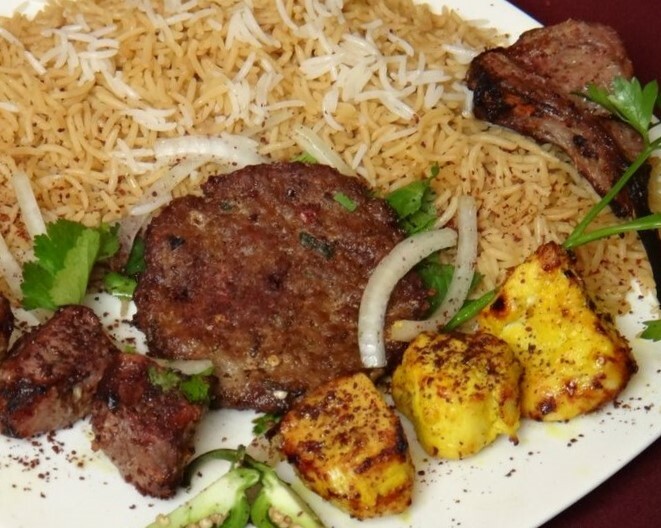 Combination of ground beef and chicken served with choice of Rice and Garden Salad or Naan with Garden Salad. 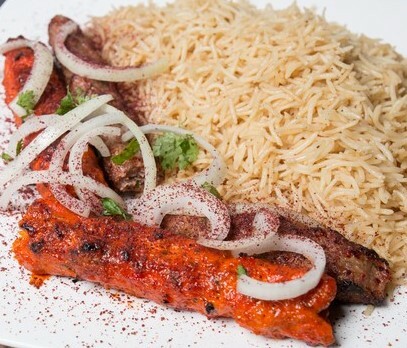 Combination of lamb tikka and chicken breast served with choice of Rice and Garden Salad or Naan with Garden Salad. 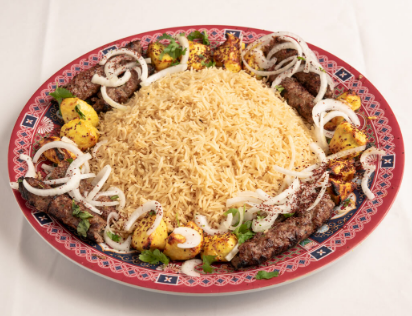 Combination of lamb tikka, chicken breast and choice of beef or chicken kofta served with choice of Rice and Garden Salad or Naan with Garden Salad. 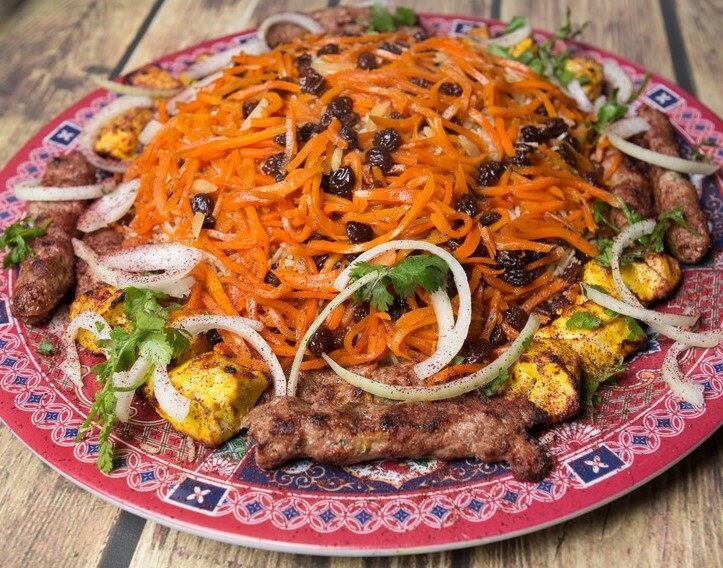 Combination of lamb chops, chicken breast and choice of beef or chicken kofta served with choice of Rice and Garden Salad or Naan with Garden Salad. 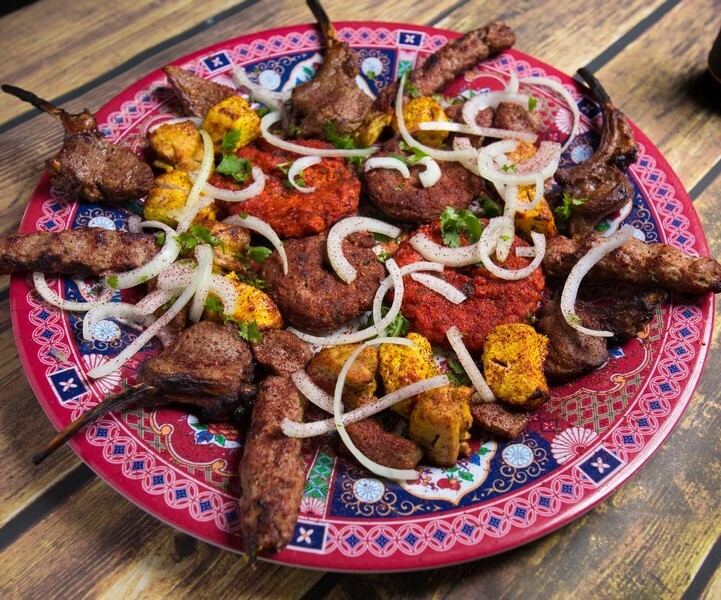 Combination of lamb tikka, chicken breast, lamb chops and choice of beef or chicken chapli served with choice of Rice and Garden Salad or Naan with Garden Salad. 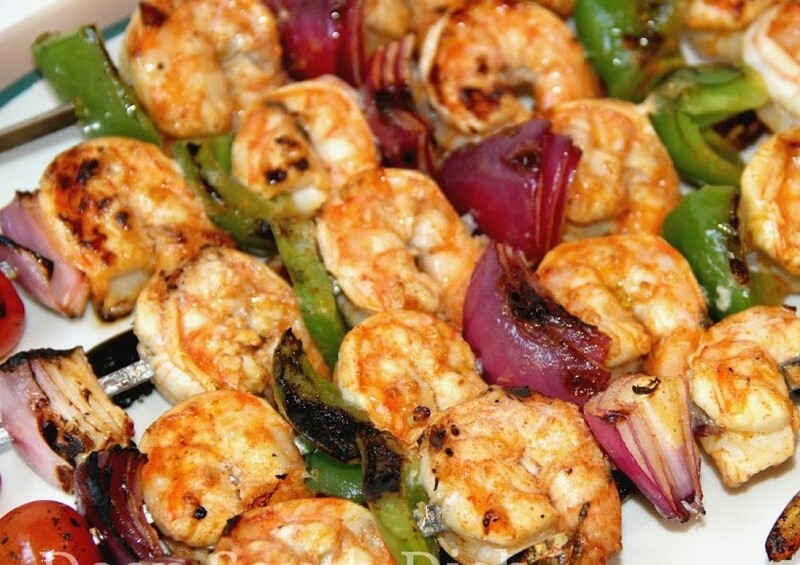 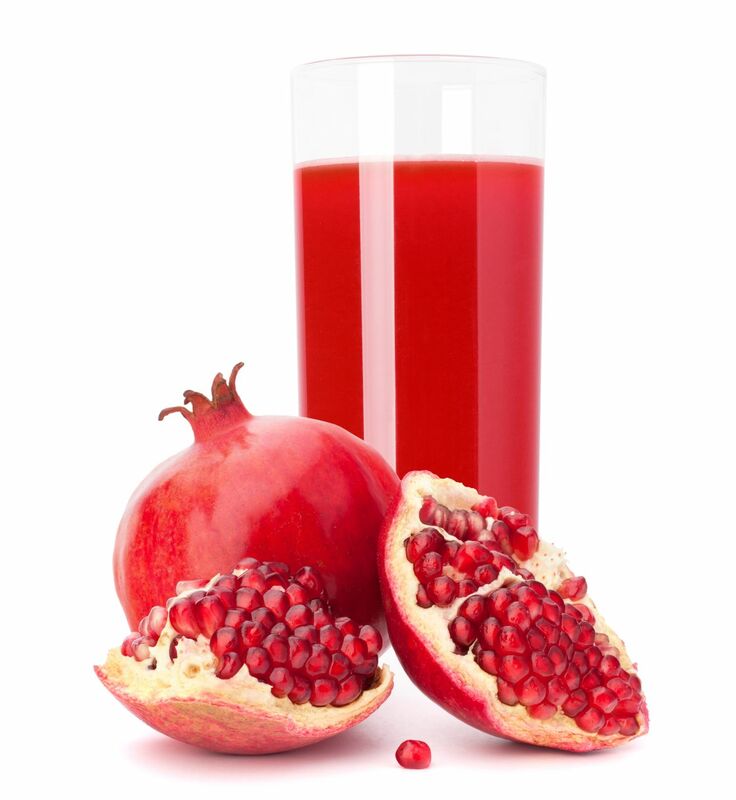 Specialty Dinner for two or four served with appetizer, rice, salad, soda and dessert. 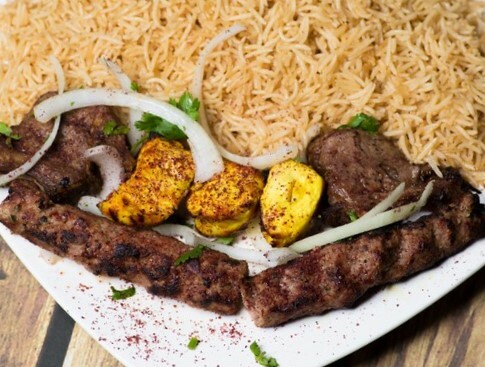 Boolani, Borani Badinjan, Qabili Palow, Kabob Combo #1, two sodas and two firnees served with rice and garden salad. 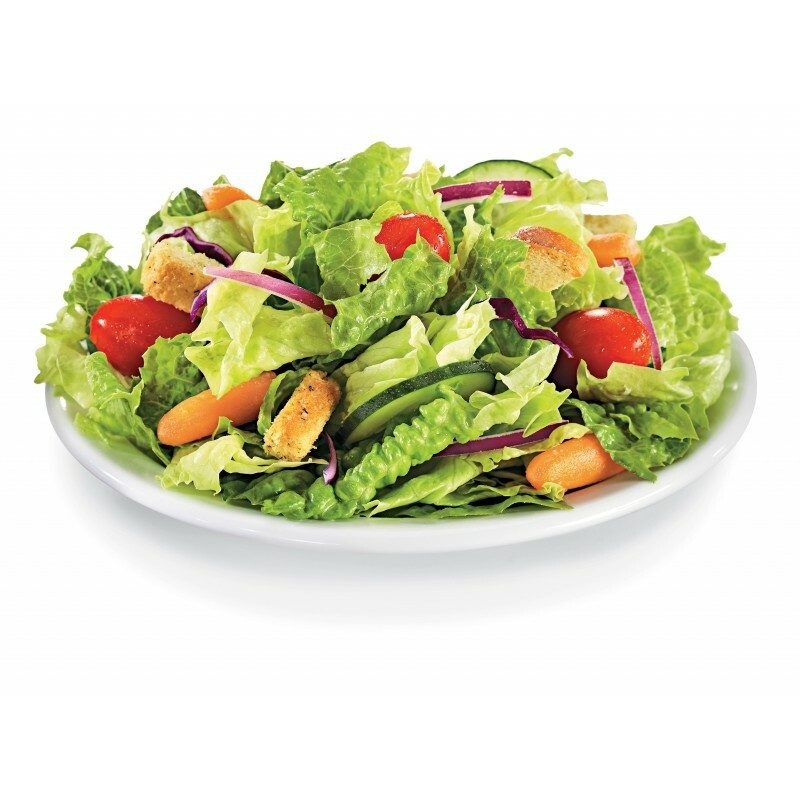 Please specify which two sodas you'd like with your order in the "special instructions" section. 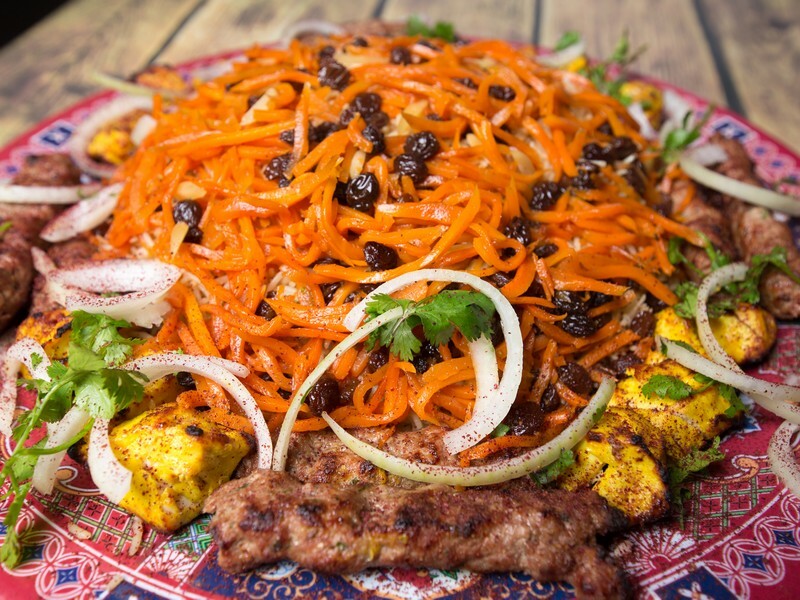 Two Boolanis, Borani Badinjan, Aushak, Qabili Palow, Lamb Tikka, Chicken Breast, Kofta, Sodas and Firnees served with rice and garden salad. 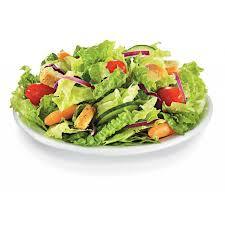 Please specify which 4 sodas you'd like in the "special instructions" section. 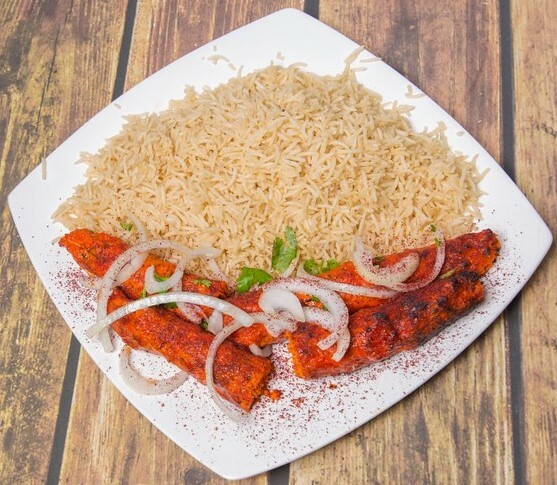 Chunks of basa fillet marinated in fresh herbs and spices served with choice of rice and garden salad or naan and garden salad. 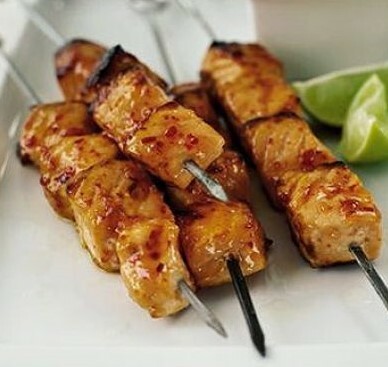 Chunks of salmon fillet marinated in house spices served with choice of rice and garden salad or naan and garden salad. 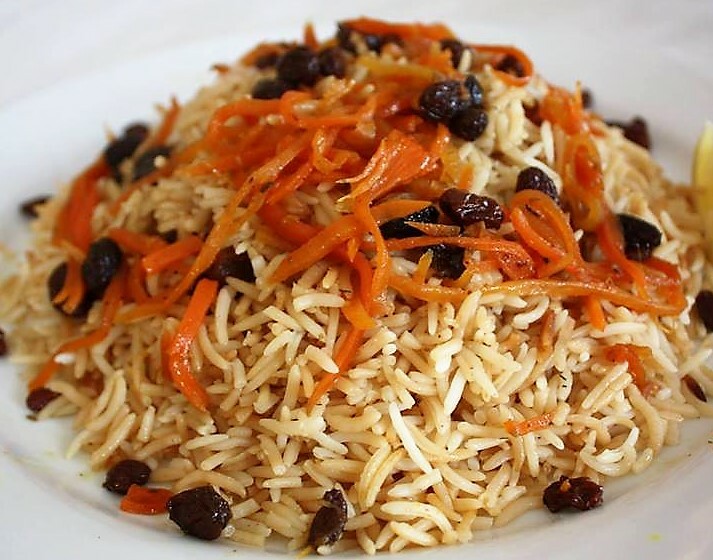 Traditional Afghan brown rice over tender chunks of boneless (lamb) or (veal) topped with almond, raisins and carrots. 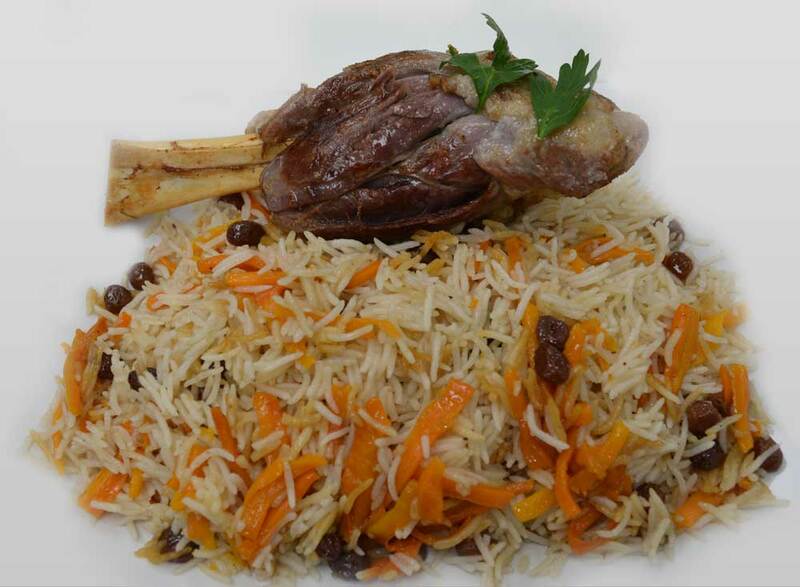 Afghan brown rice over lamb shank topped with almond, raisins and carrots. 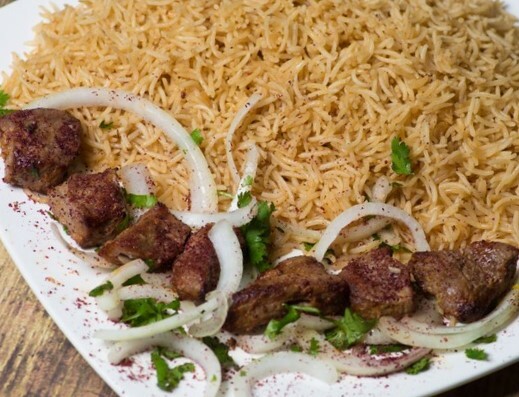 Afghan brown rice over tender chunks of boneless (lamb) or (veal) served with side of lamb curry. 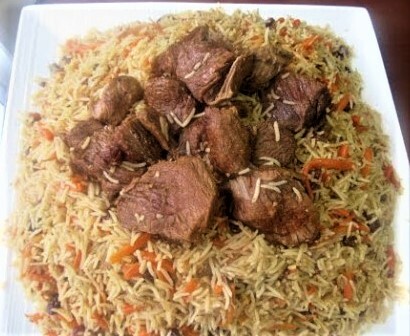 Afghan brown rice over tender chunks of boneless (lamb) or (veal) served with side of pumpkin. 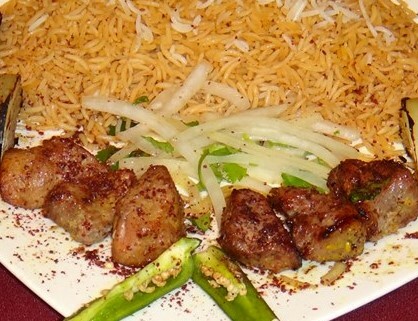 Afghan brown rice over tender chunks of boneless (lamb) or (veal) served with side of spinach. 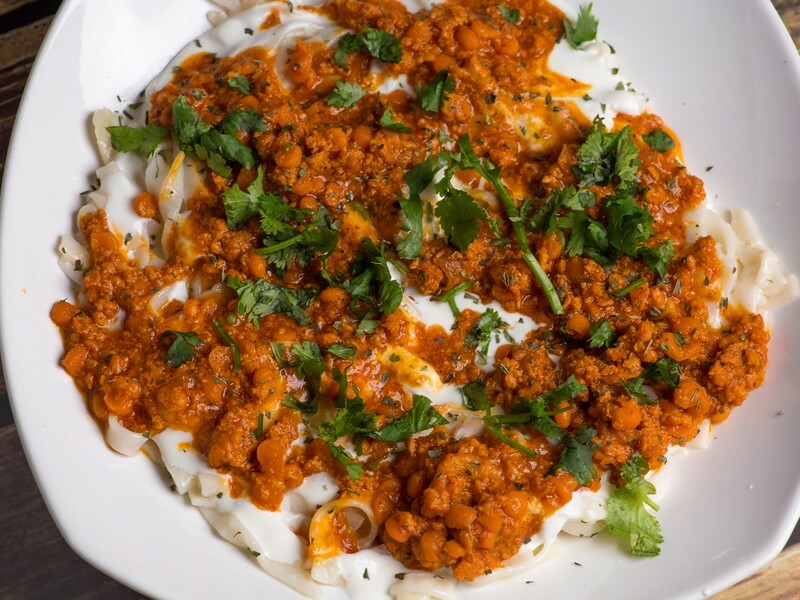 Steamed dumpling stuffed with seasoned (chicken) or (beef) topped with garlic yogurt, minced chicken and yellow lentils. 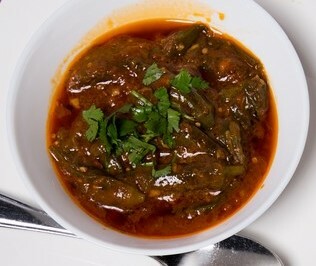 Fresh okra cooked in seasoned tomatoes and onion sauce served with white rice and garden salad. 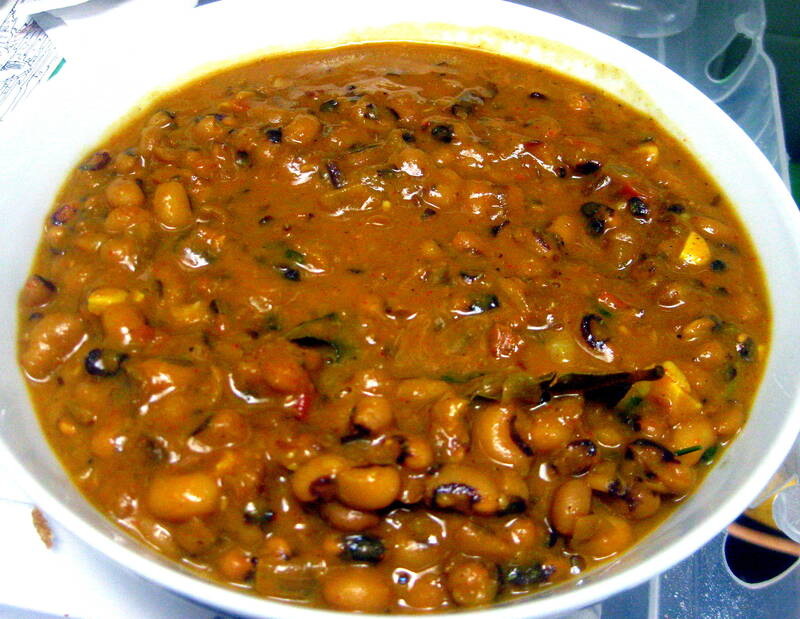 Red kidney beans cooked in seasoned tomatoes and onions sauce served with white rice and garden salad. 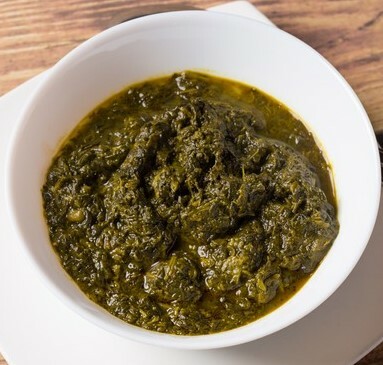 Chopped spinach cooked with fresh coriander, onions and spices served with white rice and garden salad. 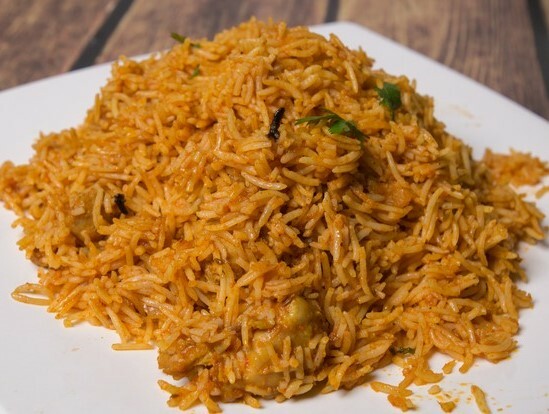 Pumkins slightly sweetened in special seasoned sauce served with white rice and garden salad. 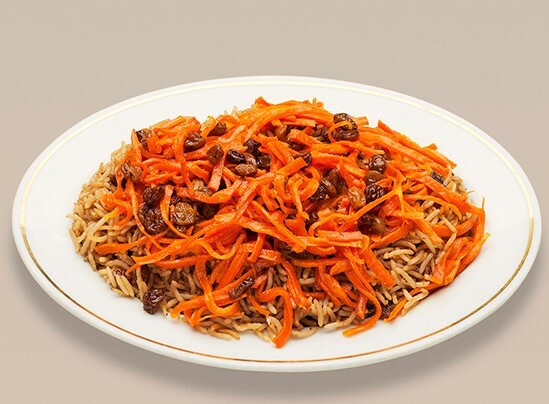 Raisins, Carrots and Almond for Qabili Palow. 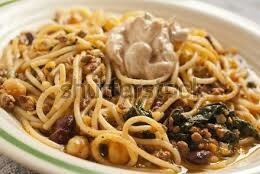 Non-vegetarian authentic Afghan homemade noodles, creamy shrimps topped with garlic yogurt and dried mint. 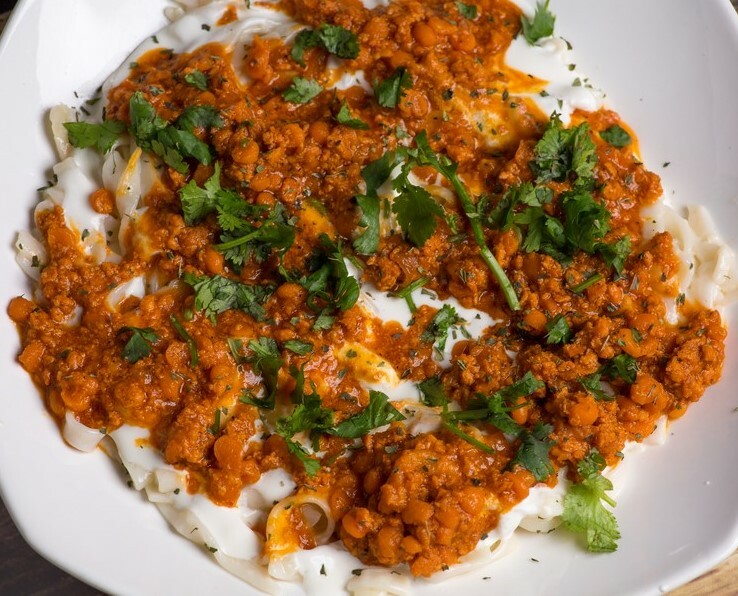 Non-vegetarian special Afghan home style noodles topped with garlic yogurt, minced chicken and yellow lentils sprinkled with dried mint. 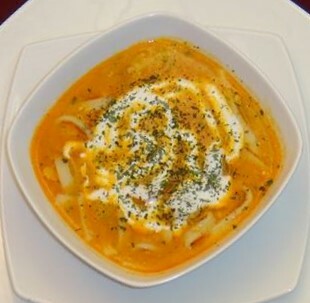 Vegetarian authentic Afghan homemade noodles topped with garlic yogurt and mixed vegetable. 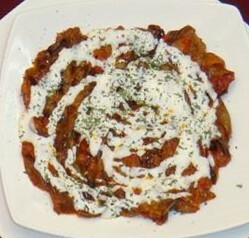 Vegetarian authentic Afghan homemade noodles topped with garlic yogurt, fried garlic and dried mint. 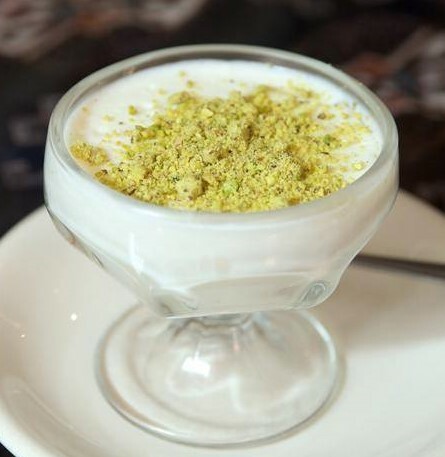 Afghan style custard made of milk, seasoned with rose water and cardamom. 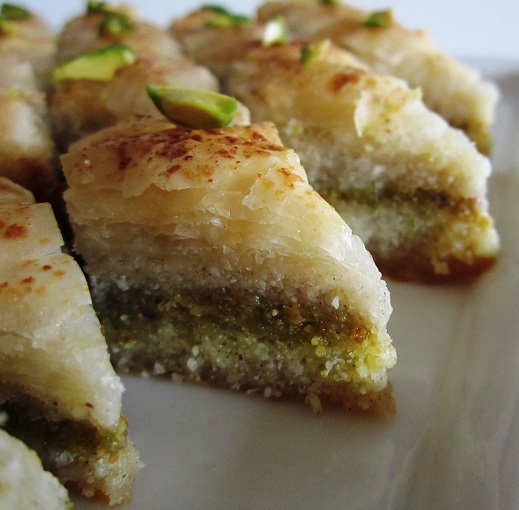 Layers of homemade pastry with nuts and honey. 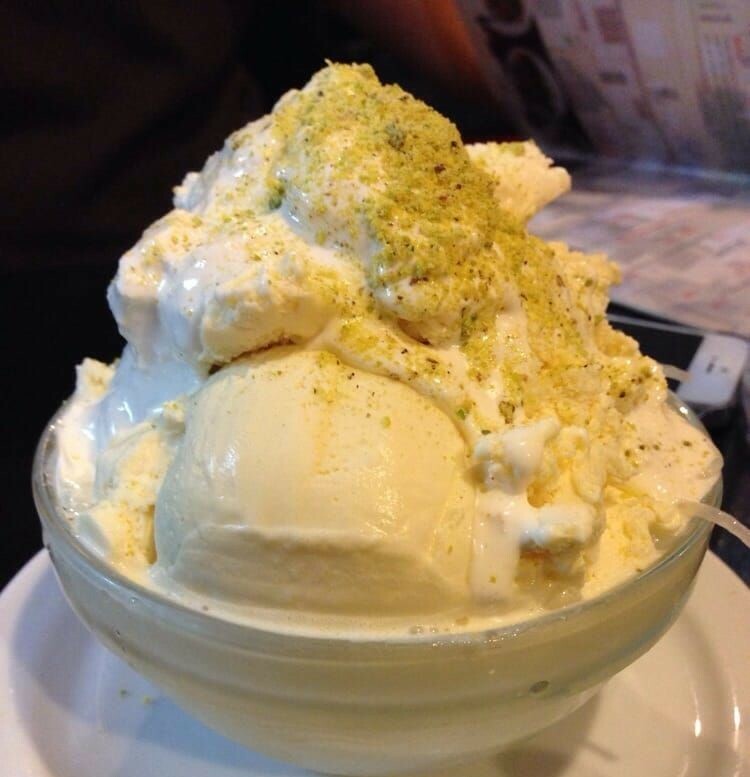 Homemade Afghan style ice cream. 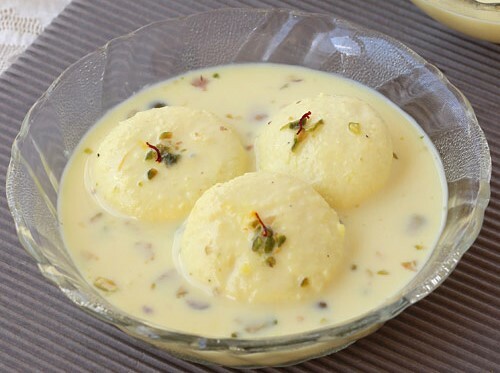 Cottage cheese balls soaked in thickened, sweetened and flavored milk. 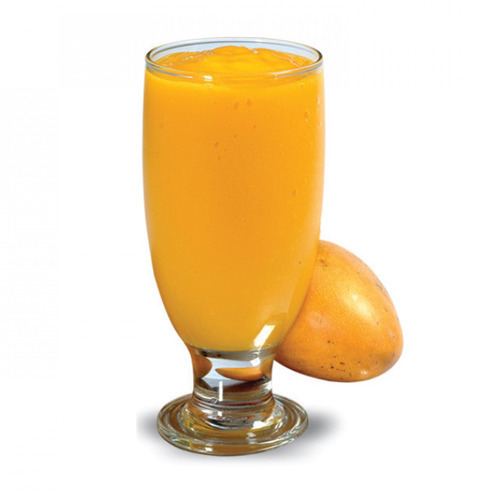 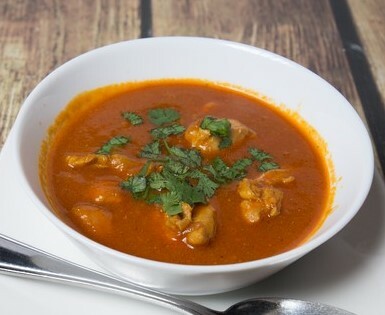 Special indian style dishes served mild or spicy. 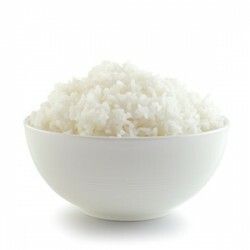 Please let us know if you want the dish to be SPICY or MILD. 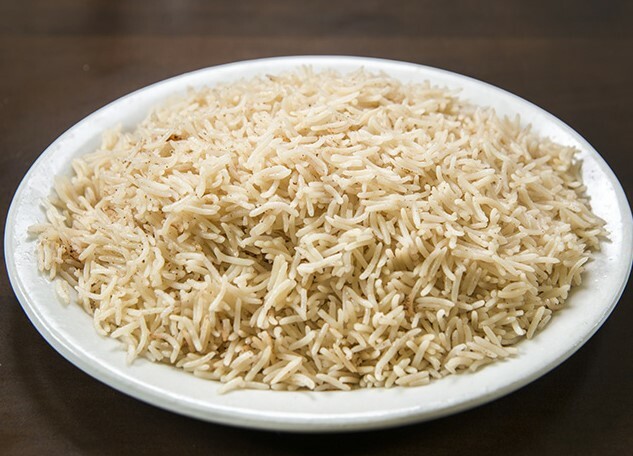 Seasoned basmati rice cooked with pieces of boneless chicken in a special house spice served with garden salad. 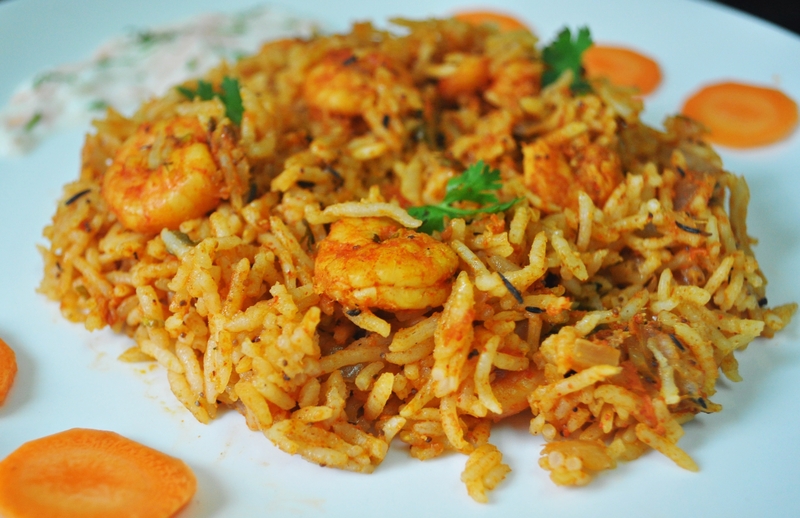 Seasoned basmati rice cooked with shrimp in a special house spice served with garden salad. 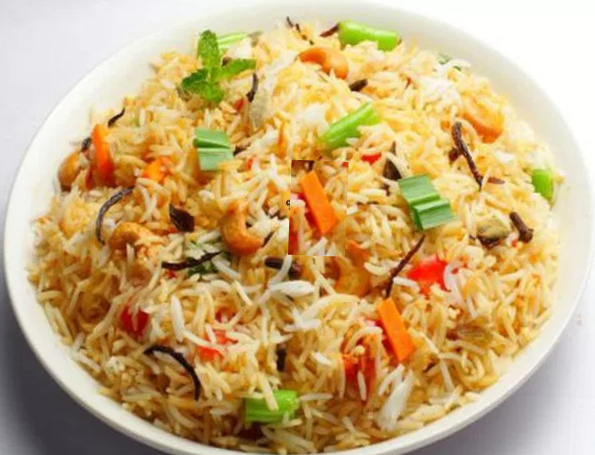 Seasoned basmati rice cooked with mixed vegetable in a homemade spice served with garden salad. 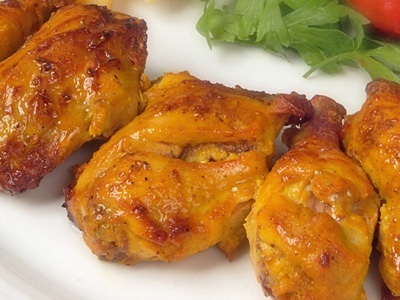 Two chicken legs seasoned with special spices and cooked in tandoor (oven). 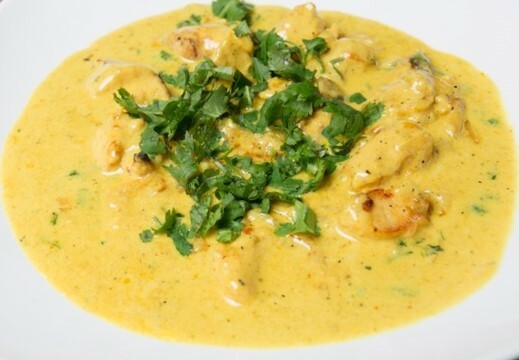 Chicken Butter - chunks of boneless tender chicken cooked in rich creamy sauce. 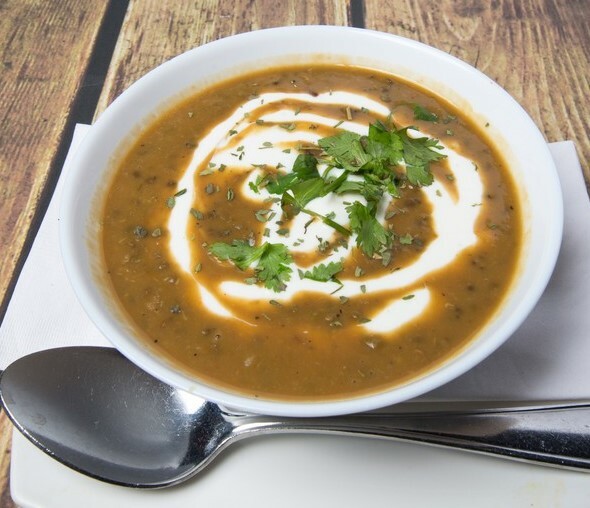 Combination of lentils cooked with herbs and spice in a creamy butter sauce. 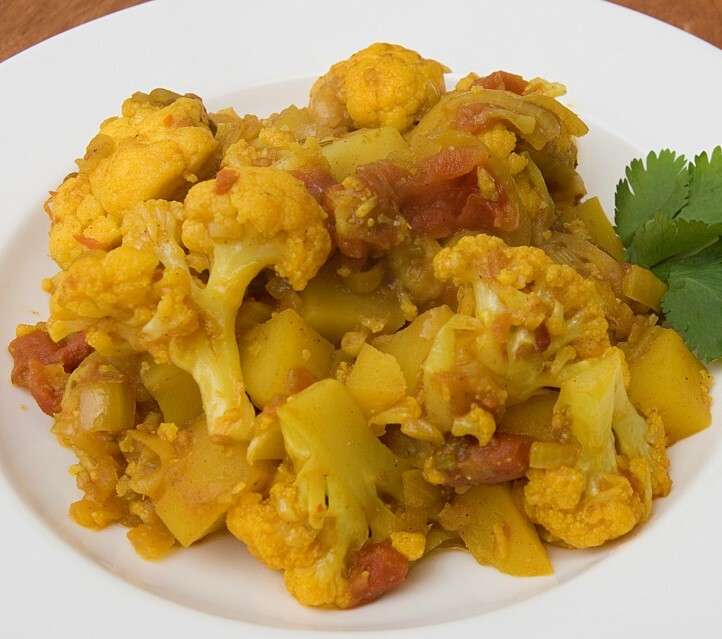 Potatoes and cauliflower cooked with fresh tomatoes, onions, herbs and house spices. 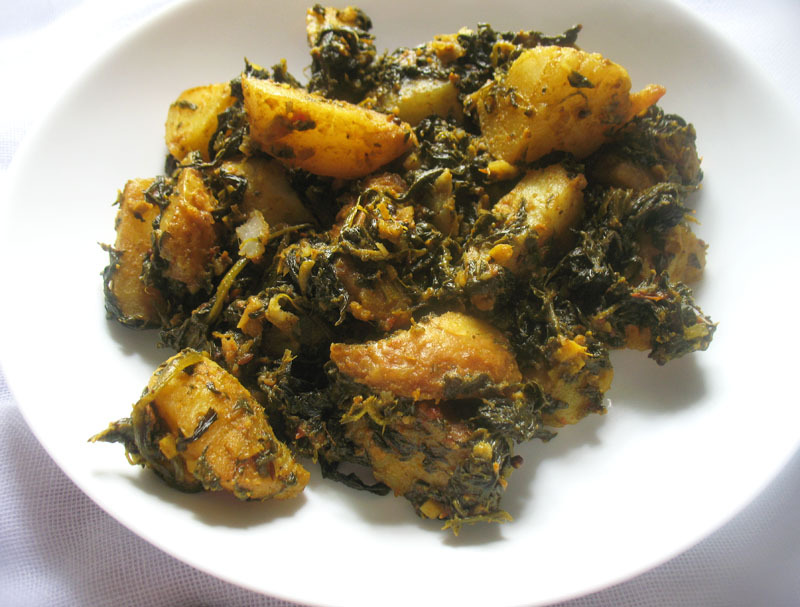 Sautéed spinach, potatoes with fresh onion, coriander and spices. 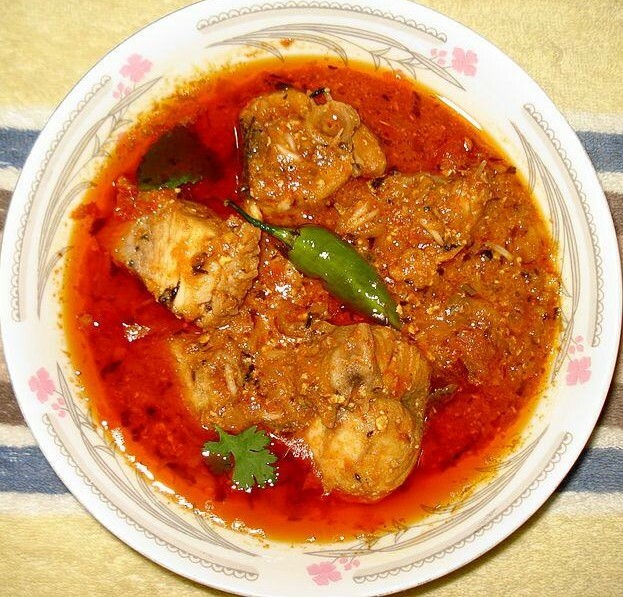 Basa fillet finely seasoned and cooked with potatoes or lentil (dal) in a special house sauce. 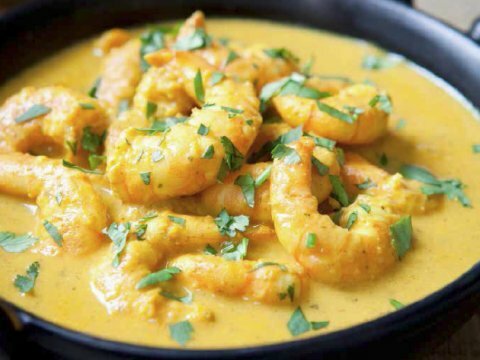 Delicately spiced shrimps cooked in a rich creamy sauce. 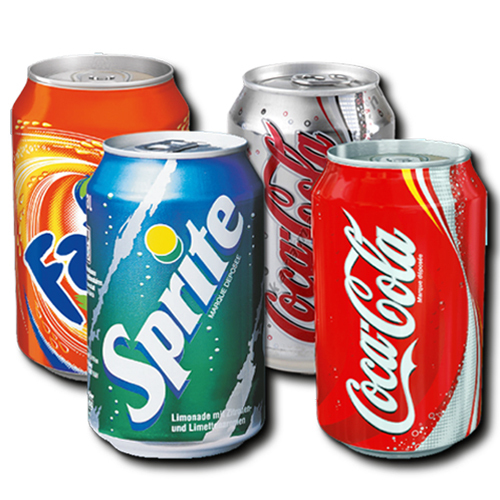 Please specify what type of soda you want in the "special instructions" section. 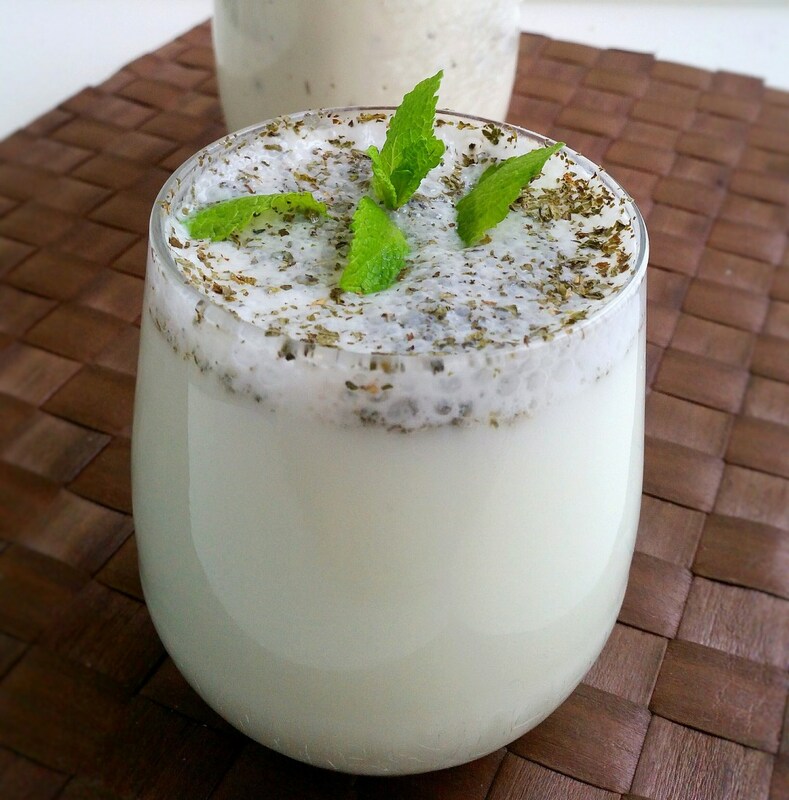 Glass - Salted Afghan yogurt drink with dried mint.